Reading is to the mind what exercise is to the body! You have nothing to lose, from reading except ignorance. People should read for the joy of leaving their lives and heads and problems. Because books tell the stories of people we don’t know, places we haven’t been, and worlds we can only imagine. Studies have shown that staying mentally stimulated can slow the progress of (or possibly even prevent) Alzheimer’s and Dementia. Because there’s nothing better than creating your own mental movie while reading. Plus… all the cool kids do it. Studies show that reading improves intelligence, brain power, empathy, help you sleep, and more! Every month we will put together a list of three books we recommend and you can choose which one to read. Once you've finished come back and comment below on your thoughts! Please kindly put spoiler before anything that will spoil it for those who haven't read it. Click The Photo Or Title To Purchase Or Read More Reviews. We Always Buy Our Books Used Because Why Not? "Both dogs, at separate times, walk into the same room. One comes out wagging his tail while the other comes out growling. Why we love it? 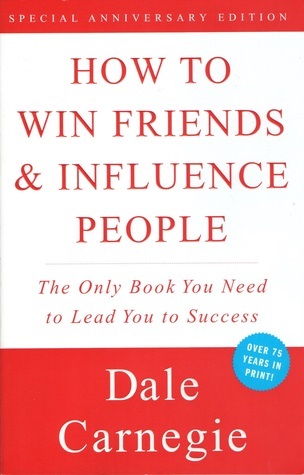 Published in 1935 How To Win Friends And Influence People is the most well-known book on interpersonal skills. No matter how well your interpersonal skills there is always room for improvement. We love how every rule follows with examples of how famous role models use the same method. For example, Benjamin Franklin, Abraham Lincoln, and Teddy Roosevelt used the same strategies. This book has also been praised by Warren Buffett who claims it was one of the books that led to his success. You have nothing to lose but everything to gain and its an easy read. Why we love it? Well written, vivid, and captivating. The story takes you from present day to World War II England, as two sisters are separated from the chaos of the war. This book teaches the reader about choices and consequences. New York Times wrote “A shimmering novel of love and acceptance.” This is a much needed lesson right now during these intresting times. Which Book Did You Pick? Did You Love It, Like It, or Loath It?